Arlington VA – The Arlington Dryer Vent Cleaning Wizard is dedicated to helping area residents protect their most valuable investment. The home is a large investment and many owners are unaware of a serious and potentially deadly hazard that could be lurking in their laundry room. The danger is so potentially devastating that some home insurance providers are making dryer vent inspection and service mandatory. Doug Bittner, owner of Dryer Vent Wizard, is a force for neighborhood safety as he provides an important service while educating customers about the extreme fire hazard in the dryer vent system. Lint filters in the dryer only capture a small percentage of what is actually produced. The rest is trapped in the dryer vent system blocking heat and moisture from being released outdoors through the wall or ceiling. Dryer vent inspection and cleaning will eliminate the danger and improve dryer performance. When the Wizard (http://www.NorthernVirginia.DryerVentCleaningNow.com) performs a dryer vent inspection he explains to his customers how over time dryer lint accumulates inside the dryer vent hose and leads to airflow blockage. Think of it as a sort of vascular blockage of the dryer vent system. As airflow is restricted, the system overheats, leading to dryer malfunction, or worse, a dryer fire! The solution is simple. Dryer vent cleaning eliminates a number of hazards while improving dryer performance. Contact the Wizard for a dryer vent inspection and service of this important system. The dryer vent system must work properly for a number of reasons including energy efficiency, indoor air quality and fire prevention. 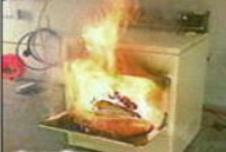 Don’t make the mistake of thinking that a simple vacuuming of the dryer vent system is enough. The Wizard is an expert who knows how to bring a dryer vent system up to current safety standards so the dryer operates safely and efficiently. Professional dryer vent installation and regularly scheduled dryer vent cleaning will ensure safety and efficiency. It all starts with a complete dryer vent inspection by the Wizard. The Wizard will not only clean the dryer vent hose and caps, but will also tighten fittings that loosen over time by the action of the dryer allowing unwanted heated and moist air to enter ones home as well as unwanted allergens that find a friendly place to grow. The dryer vent service technician will also look for and repair crimps, kinks and sharp turns in the dryer vent hose that reduce the air flow needed for efficient dryer function. In some cases it may be necessary to reroute the dryer duct if it is too long to allow maximum air flow. Dryer Vent Wizard is a licensed and insured dryer vent service provider with 60 franchised locations in the U.S. Doug Bittner serves residents and business owners in Northern Virginia, Arlington, Sterling and neighboring cities and communities. Get on track with home health and safety by scheduling a dryer vent inspection right away. 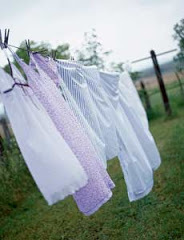 Visit http://www.arlingtondryerventcleaning.blogspot.com/ to learn more.